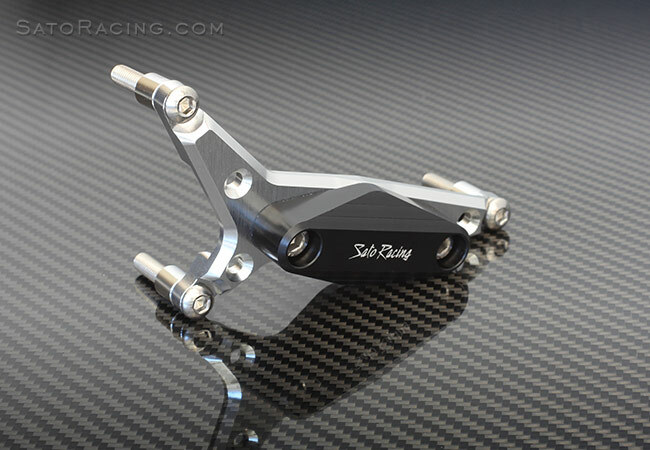 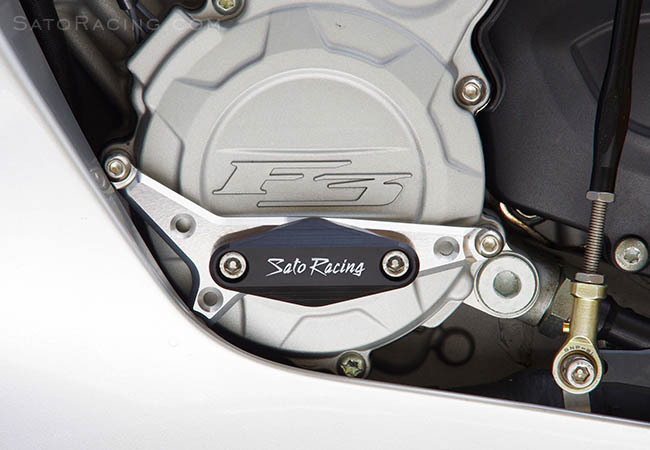 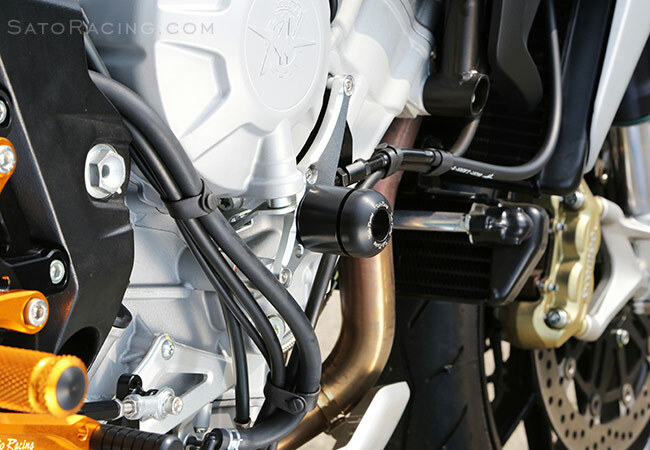 SATO RACING Engine Sliders for 2012-16 MV Agusta F3 and Brutale 675/ 800/Dragster feature slider pucks made of hard, abrasion-resistant DELRIN plastic for effective protection of the engine case and lower fairings if you slide on the track. 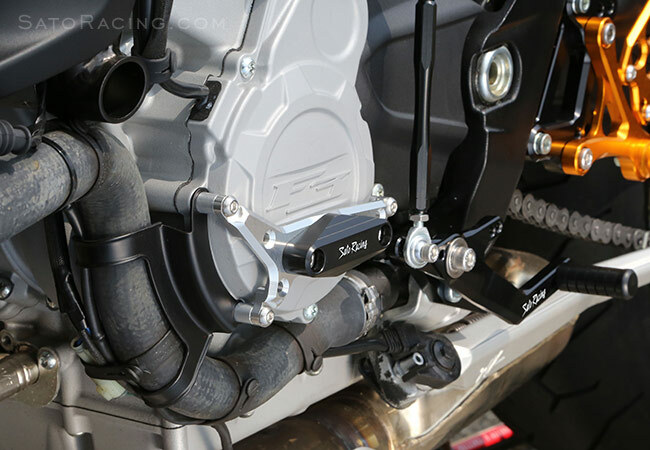 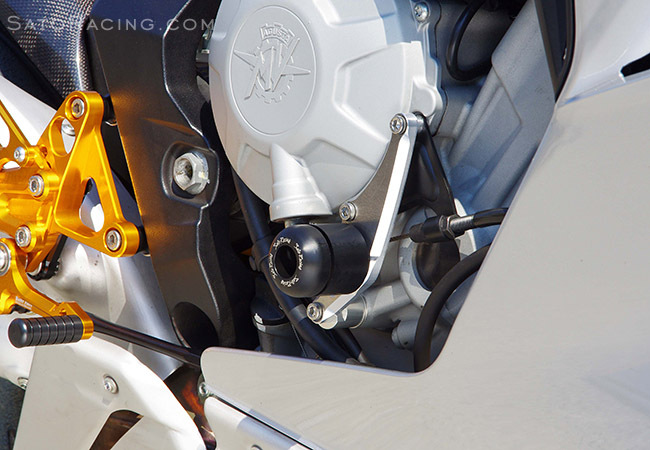 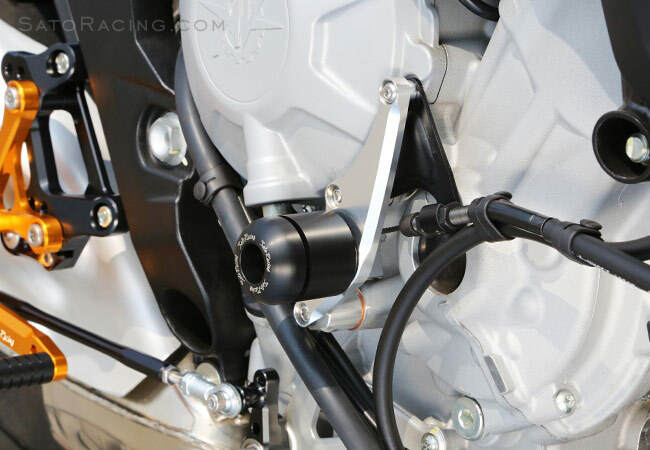 Mounted with anodized billet aluminum brackets and spacers, and stainless steel bolts. 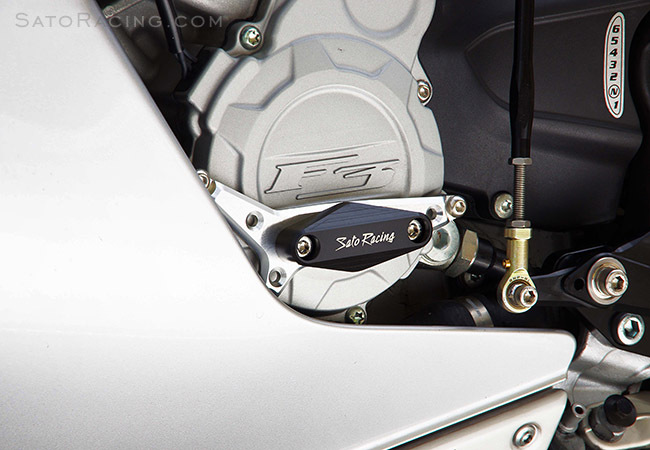 R-side Engine Slider part# MV-F312-ESR fits MV Agusta F3 and Brutale 675/ 800/Dragster. 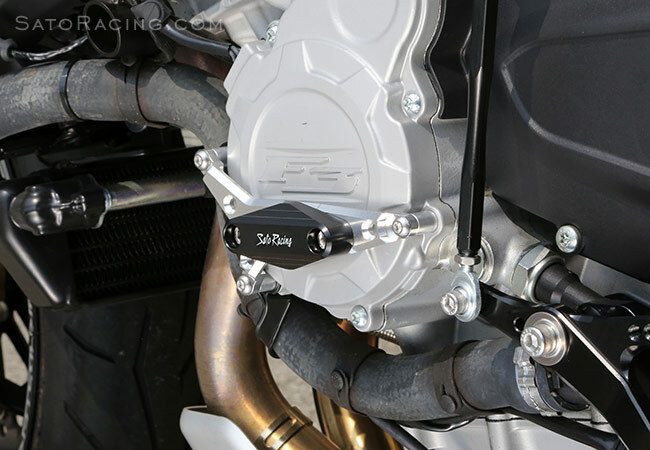 L-side Engine Slider part# MV-F312ESL fits F3 models, while L-side Engine Slider part# MV-DRAGESL is designed for Brutale 675/800/Dragster.